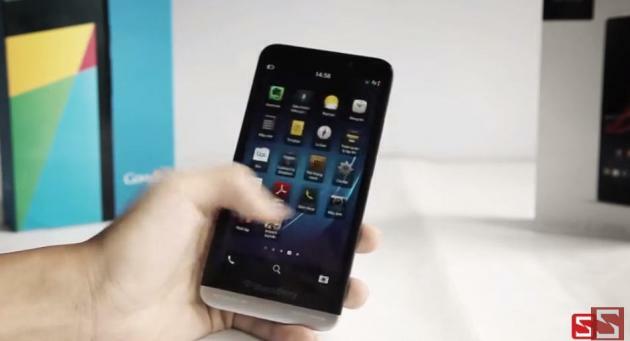 Is This The New BlackBerry Z30 Hands-On In a Video? BlackBerry may be in financial hell, but that's not stopping them from trying to get every piece of the market they still can. Rumors for the new handset Z30 - once referred to as the A10, could just be this. The footage is in Vietnamese, and if it is to be believed, the new Z30 could be packing a 720p 5 inch AMOLED display, dual-core Qualcomm Snapdragon S4 Pro processor, 8 megapixel camera, 2 megapixel front facer, 2GB of RAM and 16GB of internal storage.